It is difficult to estimate the quality of eggs just by looking at them. What makes it even more important, is to have full knowledge of the origin. At Munax we know what is happening in our production chain: how the feed is produced, where the eggs are being laid, the welfare of the chicken and how the eggs are packed. Thanks to this we can fully guarantee the quality of our eggs. The egg is an environmentally friendly top product. It contains all the nutrients we need except for vitamin C. Our task is to maintain the excellence of the egg on its way to your table. The eggs are marketed under the Laitilan Kanatarha brand and as Private label products. We have organic eggs, free range eggs, barn eggs and enriched cage eggs. Egg products are marketed under the Laitilan Proegg and Munax brands. One of our finest retail product, Munax Protein Smoothie, was first launched 2015. The Smoothie is ready to drink and is rich with high-quality protein, The Smoothie is also dairy-free and gluten-free and has no added sugar. The Protein Smoothie was nominated Product of the Year in Western Finland at 2015. Janne Torikka, managing director of Munax, was rewarded winner of Ernst & Young Entrepreneur of the Year contest in Finland, in the Production category. Munax has the internationally noted FSSC 22000 Food safety certificate. Our faith to the egg, led Munax Oy to win the Provincial entrepreneur prize 2015. The quality of the egg shows the welfare of the chicken because the feed affects both the appearance and the taste of the egg. The quality control at Munax is computerized. 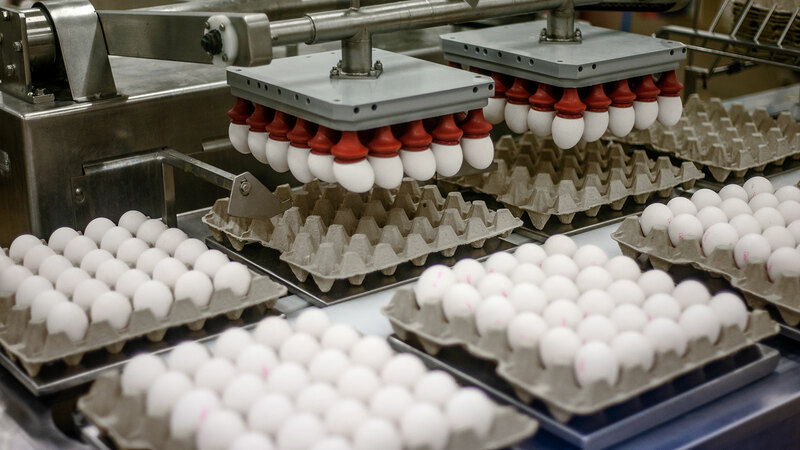 Each egg is photographed and measured to ensure our customer the product is as promised. A small computer operated hammer knocks on every egg to ensure the shell is unbroken. No defected eggs can escape the precise computer eye. The old way was to manually eliminate eggs on a candling table. The circulation of the stock is rapid, and the eggs are handled right away. The best before date is 28 days after laying. The egg will preserve even longer if kept in an even temperature. We on our side make sure that the egg is handled, transported and stored properly. You can achieve this also at home by keeping the eggs refrigerated. It is the temperature swings that make the egg absorb tastes from the surroundings. In these ways Munax Ltd. takes care of the eggs way to your dinner table and we can guarantee that the egg is a high quality Finnish product.